Before I get to the review, I wanted to mention a couple of things. Please be sure to pop in on the other stops on this tour. And don’t miss your chance to enter to win one hardcover copy of the title. Open to US/Canada entrants only. One lucky winner will be selected at random on February 17, 2014. More details below. Writing a compelling historical work is not easy. And I’ve read my fair share of duds back when I was in grad school. Yet, not all non-fiction is dry, boring, and crammed full of dates and names without any narration. Will Bashor’s book is a pure delight. 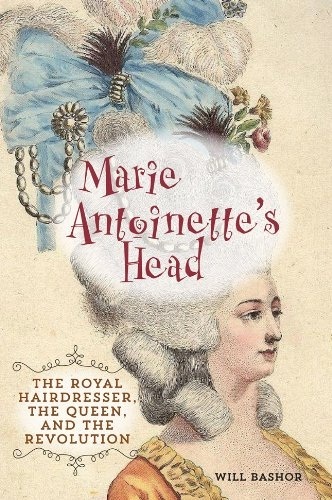 I was intrigued by the concept: a biography on Marie Antoinette’s hairdresser. I’m a huge fan of everyday history and this means I wonder how the little guy survived tumultuous times. Leonard Autié was not a royal person. He was not born into wealth. This didn’t stop him from having big dreams during a time when people born without privileges didn’t get many chances to succeed or make a name for themselves. Leonard was ambitious, smart, conniving, an opportunist, lucky, and unlucky. Overall he was talented and brave when it came to styling hair. And not just any hair. His clients included ladies of the court and the queen of France. You have to admire the man for his gumption. This biography reads more like a novel. This time period is full of suspense, intrigue, horror, and power struggles. Leonard was in the middle of it all. I was stunned by how involved he was. I wasn’t just impressed by the writing. Bashor has done extensive research, he asks the right questions, and he points out when historical records are sparse and gives credible explanations but doesn’t assert them as fact. Not everything about the past can be known and Bashor isn’t arrogant enough to force his ideas as more than ideas. However given his expertise and research it’s easy to see his point of view. I highly recommend this book for those with an interest in history. And I have to admit, it’s the first biography I’ve read about a hairdresser. Everyday people matter in history. Bashor’s work is a wonderful example of this. cultural anthropology, and European history. 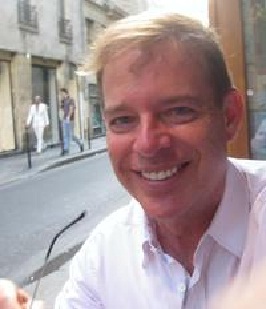 As a member of the Society for French Historical Studies, he attended its annual meeting sponsored by Harvard University in Cambridge in 2013. It’s easy to enter. Please leave me a comment below letting me know you would like to enter the contest and confirming that you live in either the US or Canada. I’ll use Random.org to select a winner on February 17th. Good luck! 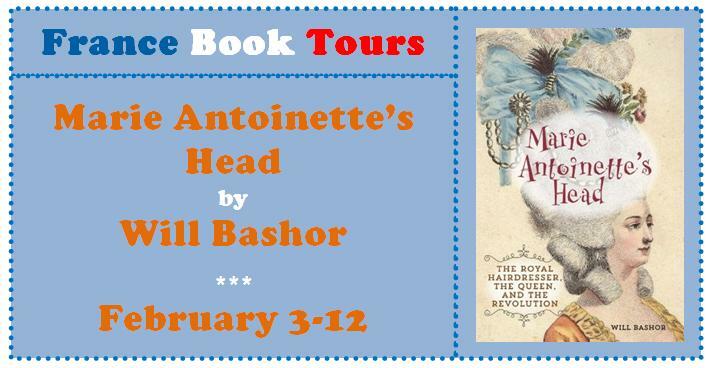 This entry was posted in Book Tours and tagged and the Revolution, Blog Tour, Books, France Book Tours, French Revolution, Giveaway, History, Marie Antoinette's Head: The Royal Hairdresser, Non-fiction, Review, the Queen, Will Bashor. Bookmark the permalink. I totally agree that some of the side stories in history about the everyday people are just as fascinating if not more so than the stories of the famous people that we already know. I think it’s because we can relate more to the everyday people and empathize with them more. Please throw my name in the barrel, and you know where I live :). Yes. That’s how I feel. I have no idea what it’s like to be queen and I don’t want to know. I like people like you and me. See how they react. Your name is in the barrel! I’m sorry to say I live in the UK so can’t enter the contest but loved your review. This sounds like something I would enjoy. I apologize for that. The publisher sets the limit on who can enter. Not me. Maybe there’ll be a giveaway on Goodreads at some point. You never know. Can’t stay awake these nights. I started a horror novel last night–that kept me up and then some. Didn’t help it was really windy. I’m surprised I didn’t give myself a heart attack, jumping as much as I did. You make me laugh. Thank you, TBM. It’s always a pleasure talking with you. Love your smile. Ah thanks. I always enjoy our chats! I feel the same way and I actually studied history in grad school. So many details–I feel like I’d miss something or forget something.